Speaking to the United Nations General Assembly Tuesday, President Donald Trump made it clear that if North Korea’s Kim Jung Un continues his apparent push to intimidate his neighbors and the United States with a nuclear missile program, he could face massive consequences. Trump used his new nickname for the North Korean dictator, calling him “Rocket Man.” The nickname has nothing to do with the Elton John hit song from four-plus decades ago. 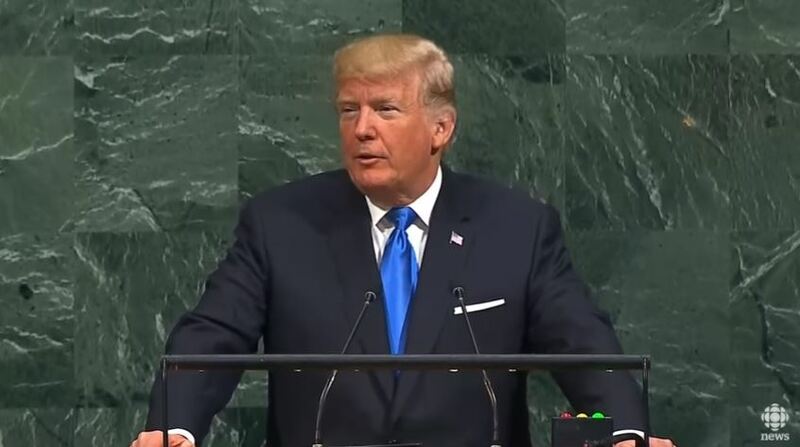 Trump drew an applause for criticizing Iran’s “murderous regime,” and warned of consequences if that nation does not abide by an agreement made with the previous administration. But Trump’s tough talk about North Korea sent a signal that there is a different man in the White House today than there was two years ago.